Planning my trip to North Korea, I checked out a lot of books from the school´s library. One of them was a graphic novel, drawn by Guy Delisle, a Canadian author. He spent two months working in DPRK, and he describes his life there and all that calls his attention in this peculiar country. 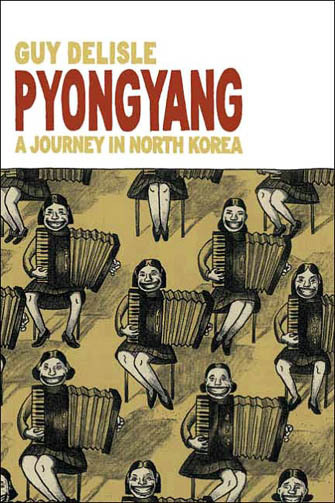 I finished the book on August 26, but I didn´t want to publish anything about North Korea until coming back. Journalist are not welcome in that country, and I didn´t want to give anybody there the little chance of thinking so.